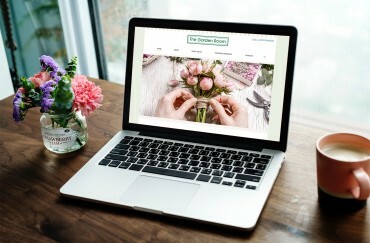 Welcome to The Garden Room Bucks, no ordinary florist! 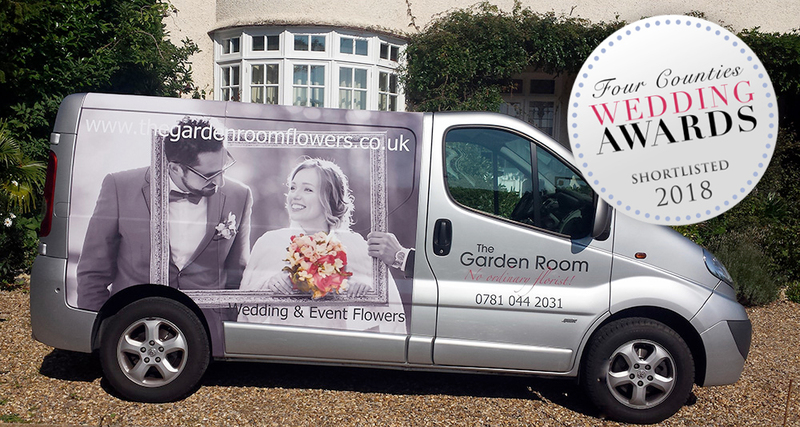 The Garden Room brings to you a highly professional and truly bespoke service providing wedding flowers, venue decorations, event flowers and sympathy flowers. 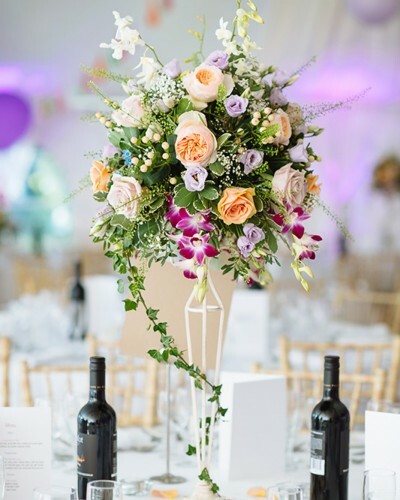 Our flower designs are as individual as you are – from rustic romance to contemporary elegance and classic chic, our talent is interpreting your own vision and turning it into a reality. My team and I love running The Garden Room from our private studio as it gives us the perfect creative space to design and produce stunning, beautiful flower displays without the interruptions we experienced at our old high street shop, we can totally dedicate ourselves to the job in hand whilst passing savings on to our clients so that everyone’s a winner! We believe you deserve your wedding flowers to be as spectacular and unique as you are. Recommended by the many local wedding venues where we work, we can show you how to achieve the best of the space where you will hold your wedding celebrations. 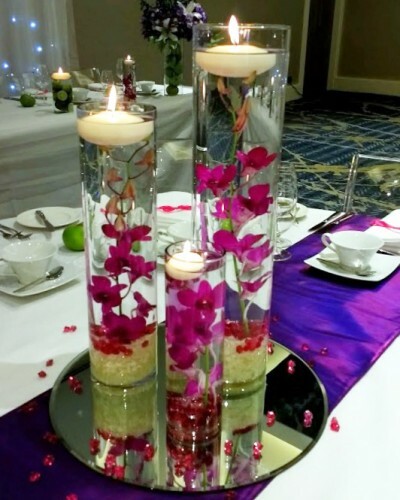 We can provide fabulous event flowers to suit any occasion, theme and budget. 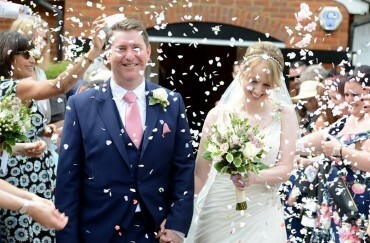 “When the button holes and bouquets arrived, I was thrilled! The pedestals at the church were spectacular! The flowers were everything (and more) that I had wished for. 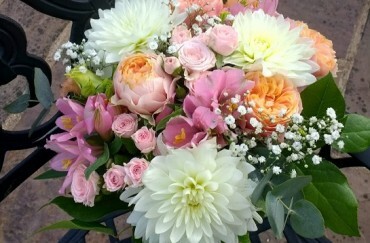 “A huge, huge thanks for the beautiful flowers you created for Ami’s wedding. 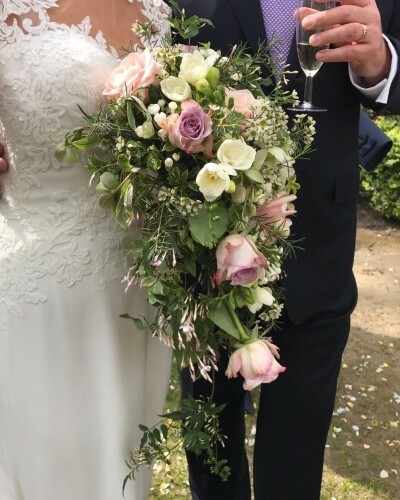 They were just perfect and you did exactly what Ami wanted, to the extent that half way through her make-up, I showed her the bouquet and she started crying as she was so impressed ! !